Quiet ranch situated on a large corner lot. Lot sits nicely away from the road, and includes a creek that runs through the side yard. Many recent updates to the home. Shed on the property for additional storage. Nice deck on the front of the house, with a sliding glass door leading inside. Washer, dryer, over and refrigerator to stay with the home. Marcus Whitman school district. 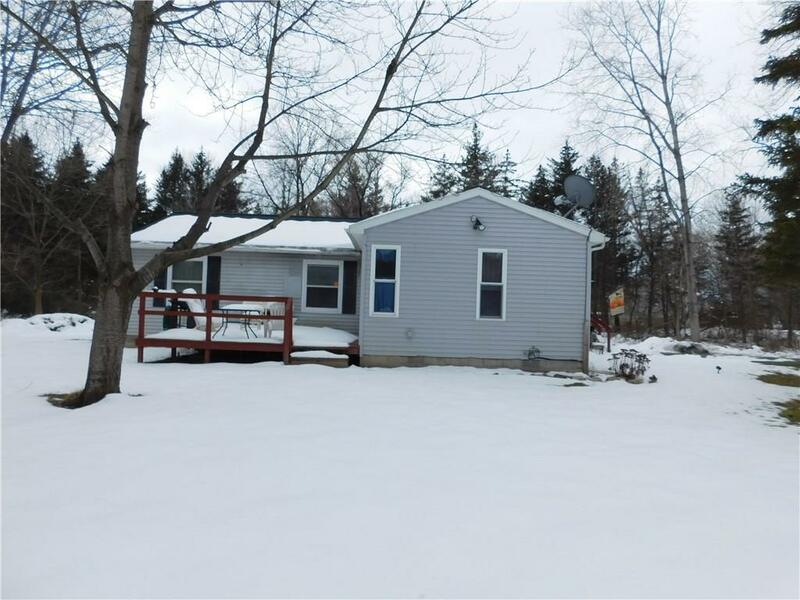 Situated close to Canandaigua, or Geneva. Perennial plants, including hosta's planted around home. New furnace in 2017. Propane hot water heater, stove and furnace. Low town of Gorham taxes! Home is sold as is.